Many of my dinners are meatless, but there are few, if any, that my other half will consume without expressing the desire for a ‘steak on the side’. Oy! That could be because a lot of my meat-free recipes revolve around quinoa, and everyone in my household seems to hate quinoa with the exception of yours truly. No matter, more for me! With this meal, I can at least persuade my husband to eat vegetarian, if only for the night (he usually has to have some eggs later, but I’ll take what I can get!). 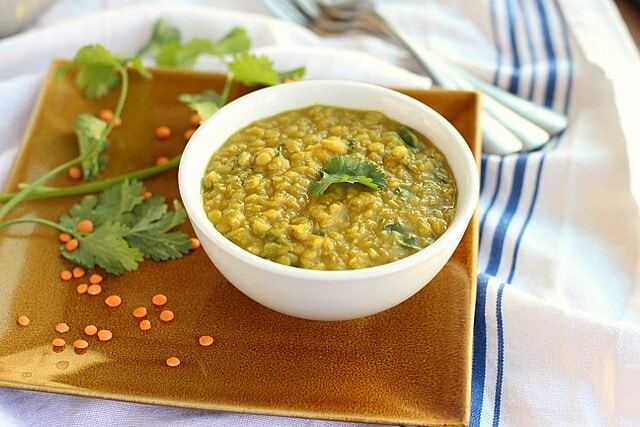 If you haven’t figured it out yet, this is a recipe for the popular Indian dish, dal, a lentil-based bowl of deliciousness, and probably our all-around favorite meatless meal here at the Goslin house. 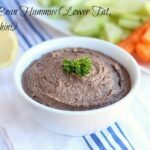 I first discovered dal on a vegan website over ten years ago now, at a time in my life when my allergies were pretty bad and lentils were among the few foods I could eat. I lived with my mom at the time, and would make this for her and me alongside a healthy helping of brown rice (another well-tolerated food) a few times a week. Needless to say she quickly tired of the dish, but it remained a favorite with me. Over the years, I’ve tweaked it here and there, adding a bit more of this spice or that spice, trying it out with tomatoes and coconut milk, but personally, I love the more unadulterated taste of the creamy lentils, and for my taste, this recipe can be perfected no more. I am happy to say that this is a meal our whole family enjoys as well, especially when paired with my homemade spelt naan, which I’m aiming to share on Friday! 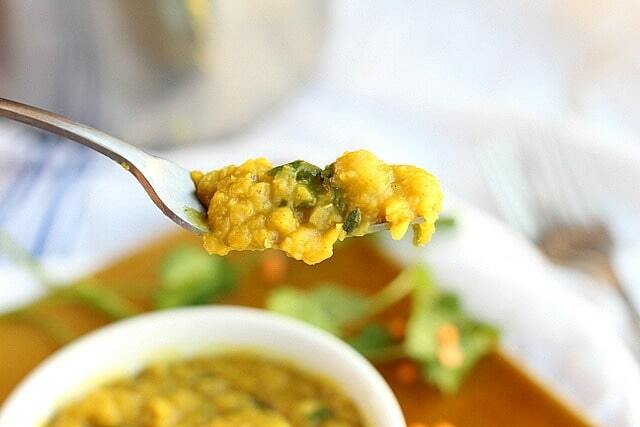 Creamy and flavorful red lentil dal recipe. Add in onion and saute 3-5 minutes. Add in garlic and ginger and cook ~30 seconds. Add in remaining spices (cumin-cayenne) and cook for 1-2 minutes. Stir in lentils and enough water to cover the lentils by about 1/2 inch. Bring to a simmer, cover, and cook 10-15 minutes. Stir the pot often, as this helps the lentils to break down. Add in more water if needed as the cooking process continues. 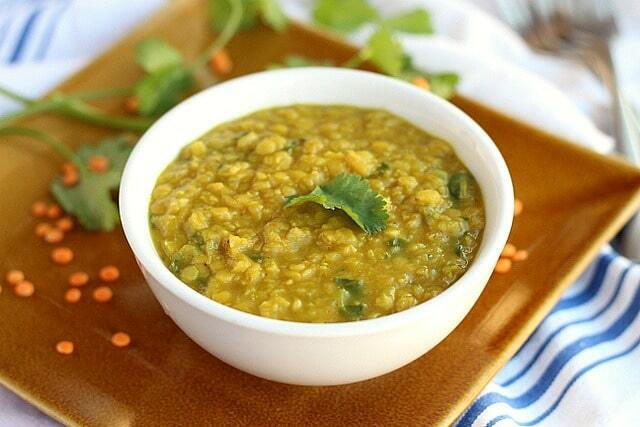 Dal is ready when the lentils are creamy and almost pureed. Stir in dark greens and salt (to taste) and let mixture heat through until the greens wilt. Serve with brown rice or naan on the side. 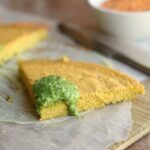 Though free of dairy and lower in fat than the traditional dal recipes, this version is still delicious, especially when served up with some whole-grain naan flatbread, which (again) I’m planning on sharing this Friday. 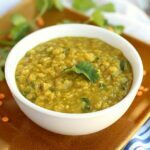 I make dal every other day love your version dal with red lentils, I use toor dal and mix of red lentils with toor dal, Really filling comforting dish, thanks for sharing with Hearth and soul blog hop. pinning and tweeting. Thank you, that means quite a bit coming from someone who makes it so often! Thanks for visiting! Looks so flavorful and hearty! 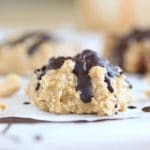 I enjoy reading your blog and trying the recipes. Due to budget and health, I try to eat at home and use fresh, whole ingredients. Lentils have and always will be a go to food. This recipe sounds fantastic. 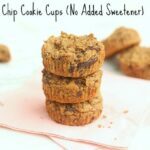 As a side note, I am allergic to tree nuts (for me, this includes coconut) and a variety of other things, however I love your low sugar recipes and easily swap out ingredients to make it safe. Thanks for all the great food ideas! 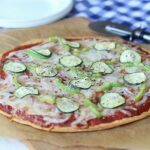 This looks delicious and simple! I will definitely make this! Thanks! 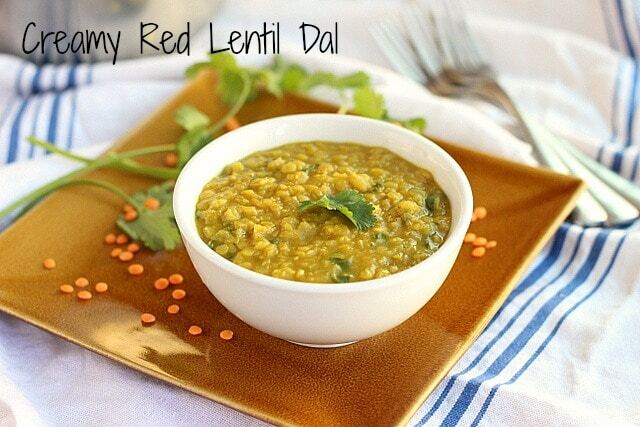 Well no one can turn down Dal or red lentils! My favorite variety!